Chronicle of Higher Education article. Discusses critical thinking and the necessity of pushing past skepticism to consider the importance of values. This essay is a revised version of the "Introduction" to Critical Literacy in Action, edited by Ira Shor and Caroline Pari (1999). 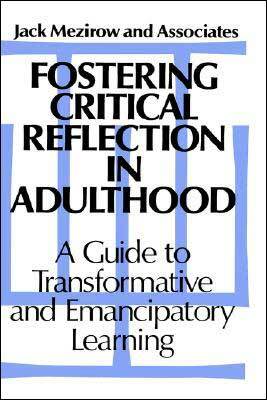 Discusses and defines critical literacy and links to critical pedagogy. This interview was recorded in November 2012 in Jonathan Z. Smith's Hyde Park graystone. 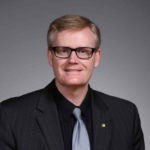 Professor Smith offers insights into how he thinks about his classroom teaching and his students' learning through descriptions of various assignments and classroom activities he has developed over more than forty years of teaching. The discussion ranges broadly over such topics as: how students read, the failure to adequately prepare graduate students as teachers, students' faith commitments, the use of newspapers (and humor) in the classroom, and the role of definition, de-familiarization, and critique of the study of religion in introductory classes. The discussion presents vivid glimpses into Jonathan Smith's teaching practice and his teaching persona, including the time a student brought a minister to class to do an exorcism because she thought he was the Devil. "Reading Together: The Art of Classroom Encounters with Primary Texts"
One page TTR Teaching Tactic to help students engage course readings. 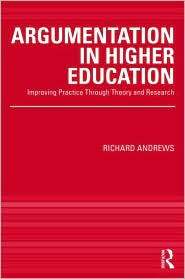 Distinguishes critical thinking and critical pedagogy in educational research. 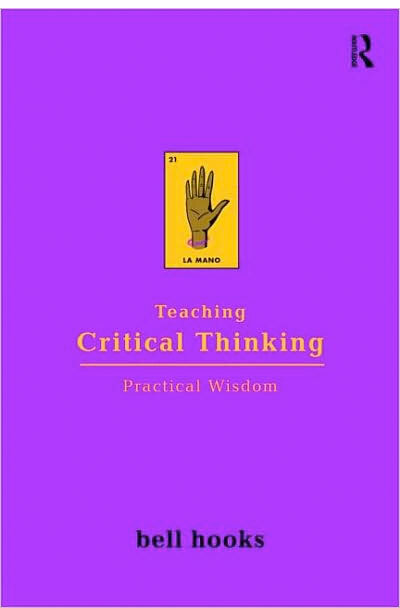 Traces critical pedagogy from the work of Paulo Freire and Henry Giroux. Offers an alternative that focuses on the practice of criticality. 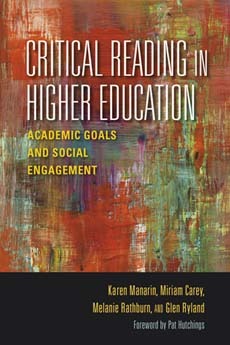 Originally published in Critical Theories in Education, Thomas S. Popkewitz and Lynn Fendler, eds. (New York: Routledge, 1999). Understanding Critical Thinking in Adult Life. Practical Approaches for Developing Critical Thinkers. Helping Adults Learn to Think Critically in Different Arenas of Life. There appears to be a significant gap between faculty expectations for incoming college students and these same students perceptions of their abilities. Incoming college students are not very confident of their critical thinking abilities, yet faculty expect students to enter college already being able to critically evaluate information and to reach conclusions based on a critical analysis of the data. The current study challenges the preconception that critical thinking cannot be taught and delineates a model for critical thinking that can be employed regardless of one’s discipline. Outcome data strongly suggests critical thinking can lead to both proximal and distal increases in student success. ch. 2	What is Meant in Education by 'Reflecting'? ch. 3	What Does Reflection Have to Offer in Education? ch. 4	Is There a Methodology You Can and Should Follow? ch. 5	What Can You Do to Encourage Students to Reflect? ch. 6	What is Involved for Students in Analytical Reflection? ch. 7	What is Involved in Evaluative Reflection? ch. 8	How Can You Adapt Ideas from My Teaching, for Yours? ch. 9	How Should You Get Started? ch. 10	How Can Such Innovations Be Evaluated? ch. 11	Where Should You Read about Other Work in This Field? Discussion is important to learning in all disciplines because it helps students process information rather than simply receive it. A multi-part exposition of constructivism, with special attention to the roles and practices of the teacher and learner in a constructivist classroom. Wolcott, Susan K.; and Lynch, Cindy L.
A well-organized collection of assessment rubrics for critical thinking and problem-solving. These include instructor assessments and self-assessments. Also valuable for fostering faculty discussion of critical thinking. A short article in which a teacher-scholar defines what she means by “active and meaningful learning,” discusses unstructured cooperative learning and critical thinking, and reflects on experience in using these concepts in the courses she teaches and the textbooks she writes. Idea Paper no. 34, from the series developed by the Center for Faculty Evaluation and Development, Kansas State University. "Using Student Ethnography to Teach Sociology of Religion"
Engaging students in a course in the Sociology of Religion can be a challenge, particularly when working with student populations in a homogeneous region of the country who have limited experience with religious diversity. We approached the course from a sociological/anthropological perspective, requiring each student to complete an in-depth participation/observation research experience and write an ethnographic account of a religion or belief system different from his or her own. While other instructors have used a similar pedagogy, using ethnography with our student population was generally successful as a learning and writing tool. Recommends theoretically grounded and empirically supported strategies to improve the development and assessment of students’ thinking skills – with bibliography. Idea Paper no. 37, from the series developed by the Center for Faculty Evaluation and Development, Kansas State University. "But How Do We Get Them to Think?" "Thinking Developmentally: The Bible, the First-Year College Student, and Diversity"
The Bible is a non-western text subject to a variety of interpretations and applications – constructive and destructive. The academic study of the Bible, therefore, requires critical thinking skills and the ability to engage with diversity. The reality is that most first-year college students have not yet developed these skills. Rather than bemoan students' lack of development, the essay explores ways of teaching and applying critical thinking within the context of an introductory Religion course. The essay claims that first-year college students can better learn the content of the discipline and function in a pluralistic world if the teaching of critical thinking skills is a part of the pedagogy. When Cathy Davidson and Duke University gave free iPods to the freshman class in 2003, critics said they were wasting their money. Yet when students in practically every discipline invented academic uses for their music players, suddenly the idea could be seen in a new light-as an innovative way to turn learning on its head. Abstract: Here is a new text that fulfills an emerging need in both higher and public education and stands to break new ground in addressing critical skills required of graduates. ch. 3 The Great Debate: Can Creative Thinking Be Taught? 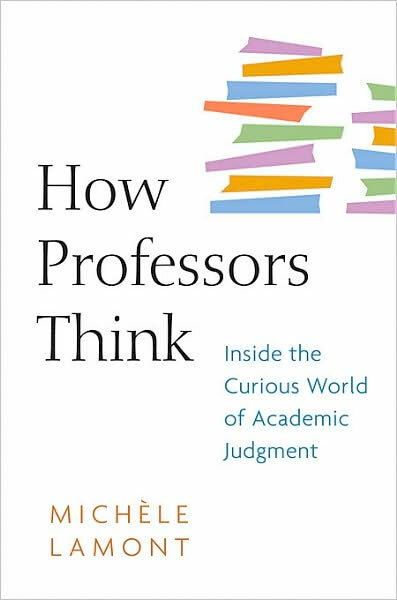 Here is a compelling read for every teacher in higher education who wants to refresh or reexamine his or her classroom practice. 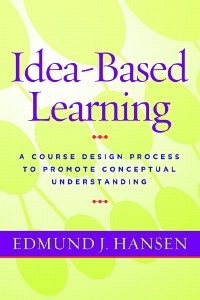 Building on the insights offered by recent discoveries about the biological basis of learning, and on his own thought-provoking definitions of teaching, learning and education, the author proceeds to the practical details of instruction that teachers are most interested in — the things that make or break teaching. Practical and thoughtful, and based on forty years of teaching, wide reading and much reflection, Robert Leamnson provides teachers with a map to develop their own teaching philosophy, and effective nuts-and-bolts advice. His approach is particularly useful for those facing a cohort of first year students less prepared for college and university. 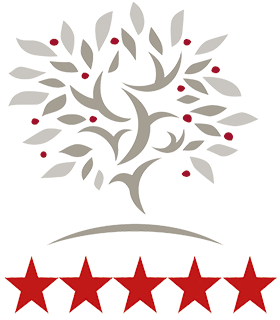 He is concerned to develop in his students habits and skills that will equip them for a lifetime of learning. He is especially alert to the psychology of students. He also understands, and has experienced, the typical frustration and exasperation teachers feel when students ingeniously elude their teachers' loftiest goals and strategies. Most important, he has good advice about how to cope with the challenge. (Text not available on web.) This paper focuses on methods to improve the reading abilities of college students. A list of five elements college instructors (who are not reading specialists) should establish in a content reading agenda is offered; (1) an instructional basis for the reading process which will work for them; (2) content literacy environments; (3) insights into the skill level characteristics of readers; (4) working relationships with the campus reading program; and (5) inclusion of reading strategies in their content instruction. Stating that students must know the purpose of the course and understand what is to be done with the information provided through lectures and textbook reading assignments to successfully interact with the text, the paper offers methods of establishing the five elements suggested. Also addressed are the unique challenges of social science, mathematical, and scientific reading instruction. The paper concludes with a brief summary and suggestions for collaboration between the content specialist and the reading staff. Light, Tracy Penny; Nicholas, Jane; and Bondy, Renée, eds. 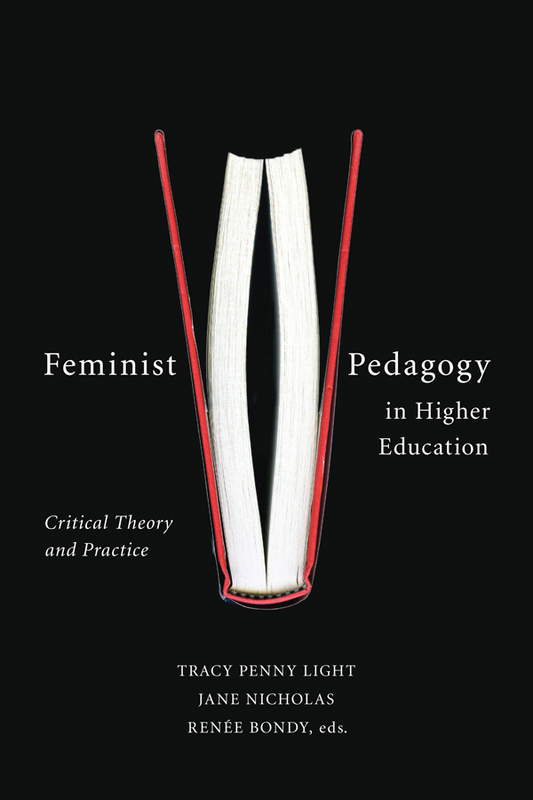 Abstract: In this new collection, contributors from a variety of disciplines provide a critical context for the relationship between feminist pedagogy and academic feminism by exploring the complex ways that critical perspectives can be brought into the classroom. This book discusses the processes employed to engage learners by challenging them to ask tough questions and craft complex answers, wrestle with timely problems and posit innovative solutions, and grapple with ethical dilemmas for which they seek just resolutions. Diverse experiences, interests, and perspectives—together with the various teaching and learning styles that participants bring to twenty-first-century universities—necessitate inventive and evolving pedagogical approaches, and these are explored from a critical perspective. Fletcher, Jennifer; Najarro, Adela; and Yelland, Hetty, eds. Excellence. Originality. Intelligence. Everyone in academia stresses quality. But what exactly is it, and how do professors identify it? In the academic evaluation system known as “peer review,” highly respected professors pass judgment, usually confidentially, on the work of others. But only those present in the deliberative chambers know exactly what is said. Michèle Lamont observed deliberations for fellowships and research grants, and interviewed panel members at length. In How Professors Think, she reveals what she discovered about this secretive, powerful, peculiar world. Anthropologists, political scientists, literary scholars, economists, historians, and philosophers don’t share the same standards. Economists prefer mathematical models, historians favor different kinds of evidence, and philosophers don’t care much if only other philosophers understand them. But when they come together for peer assessment, academics are expected to explain their criteria, respect each other’s expertise, and guard against admiring only work that resembles their own. They must decide: Is the research original and important? Brave, or glib? Timely, or merely trendy? Pro-diversity or interdisciplinary enough? A good question is both answerable and challenging, inspiring analysis, synthesis, interpretation, and critical thinking. Precipitating Critical Self-Reflection: Six Exemplary Programs. Helping Learners Become Critically Reflective: Six Key Approaches. Uncovering and Mapping the Personal Perspectives of Learners. "Making Thinking Real Enough to Make It Better: Using Posters to Develop Skills for Constructing Disciplinary Arguments"
How does one teach critical thinking, the procedures of an academic discipline, and the composition of plausible interpretations and arguments to students who are more facile with visual than with written modes of expression? How does one make real to students the construction of meaning in that unfamiliar epistemological space between brute fact and mere opinion? The "argument poster," a pedagogical strategy that helps students translate their skills for critical thinking from a visual frame to a written frame, results in better quality historical essays and research papers. Learning to think in a discipline is a demanding scholarly task that is not often associated with the development of university students. Although the intellectual development of postsecondary students is gaining increased attention, relating student development to the process of inquiry in different disciplines is unexplored terrain. 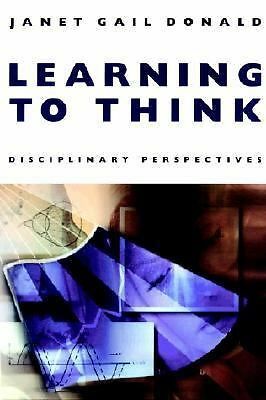 This book attempts to come to a deeper understanding of thinking processes by exploring the approaches to thinking taken in different disciplines and then considering how these could be applied to student intellectual development. Drawing on more than twenty-five years of research, Janet Donald shows how knowledge is structured and how professors and students perceive learning in their fields-and offers strategies for constructing and using knowledge that will help postsecondary institutions to promote students' intellectual development within and across the disciplines. The author first creates a framework for understanding student intellectual development and for learning to think in different disciplines. In succeeding chapters, she describes the principal methods of inquiry in each discipline and their effects on learning to think, examining what this means for students and how we might use it to improve the instructional process. "Teaching Exodus as "Problem Text""
This essay explores how one might use the "problem" of the hardening of Pharaoh's heart as a learning opportunity in the classroom. The author identifies two pedagogical aims: (1) cultivating more sophisticated, critical readers of the Bible; and (2) helping students reflect on the contextual nature of interpretation. The essay discusses in some detail various ways of teaching the text, including an exercise in close reading, examination of sources, and a selective study of the history of interpretation. It also explores various lessons to be learned from these exercises, and addresses applicability of the approaches to other teaching contexts. An earlier version of this paper was prepared for the "Problem Texts" group of the consultation "Teaching the Bible in the 21st Century," held at the Wabash Center in Crawfordsville, Indiana. "Obstacles To Open Discussion and Critical Thinking The Grinnell College Study"
A Grinnell College (Iowa) study investigated whether students (n=200) felt that balanced discussion of racial/diversity issues was possible and why they did or did not want to discuss the issues. Most thought balanced discussion was impossible, feared a single viewpoint would dominate, and feared reprisal for speaking against the dominant perspective. Further findings and implications are discussed. Understanding college students' intellectual development is at the heart of effective educational practice. How do college students learn? How can educators maximize intellectual development in the college environment for both sexes—both in and out of the classroom? In this book Marcia B. Baxter Magolda demonstrates how educators can use a deeper understanding of the way students learn to teach more effectively. Drawing on a unique longitudinal study of more than one hundred college students, both male and female—and presenting information not available in single-gender studies—the author explains surprising gender-related patterns that affect the way students develop. Baxter Magolda uses data gathered from in-depth interviews over a five-year period to reveal four distinct "ways of knowing." A report from the Social Science Research Council (SSRS) that extends findings reported in the 2010 book "Academically Adrift" to document practices associated with improved student performance, as well as differences across individuals and institutions in the level of learning. ch. 1	What Is Critical Thinking? ch. 2	Barriers to Critical Thinking? One page TTR Teaching Tactic: students increase comprehension of reading by learning to analyze the structure of a text. A unique tool designed to assess and promote the improvement of critical thinking and real-world problem solving skills. The instrument is the product of extensive development, testing, and refinement with a broad range of institutions, faculty, and students across the country. The National Science Foundation has provided support for many of these activities. An essential lifelong skill for students is to think about their learning, or be metacognitive about it. Karen M. Kortz, Ph.D., shares three activities that help students practice this important skill. Abawl, Lindy; Conway, Joan; Henderson, Robyn, eds. 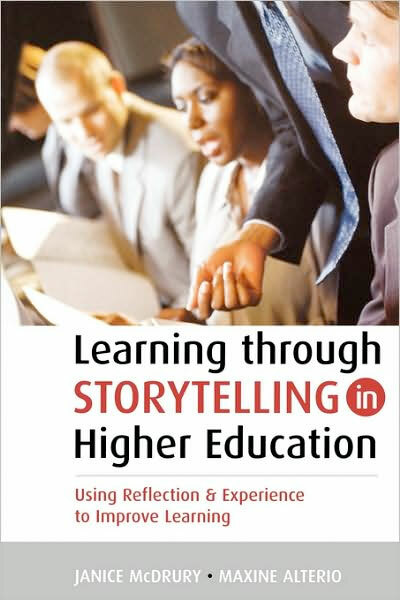 This book explores the wide range of contexts in which research into creating connections in learning and teaching may take place. Creating connections can encompass making links, crossing divides, forming relationships, building frameworks, and generating new knowledge. The cognitive, cultural, social, emotional and/or physical aspects of understanding, meaning-making, motivating, acting, researching, and evaluating are explored as constituent forms of creativity in relation to such connections. From this exploration the authors identify varied connective contexts and means which include the learner, the educator, the organisation, and the relevant community. The crossing of divides, forming learner-educator relationships, bringing together diverse groups of learners, establishing networks and partnerships among educators, and establishing links between organisations and communities are all considered as connections which can be created by and within the learning and teaching dynamic. In this article I propose a method of selecting and assigning readings in the religious studies or theology classroom, such that these readings complicate one another, rather than standing in opposition or as simple alternatives. Such a strategy emulates key pedagogical insights of twelfth-century sentence collection, an activity at the very heart of the earliest universities in Europe. It also draws support from the theories of intellectual development advanced by William G. Perry, Jr. and the Women's Ways of Knowing Collaborative. Both precedents suggest a principle of “complicating views” that can be flexibly employed in a variety of ways and diverse pedagogical contexts, as illustrated by examples from several classes. Such strategies aim to avoid reinforcing intellectual patterns of dualism or undifferentiated relativism; instead, they attempt to promote students' ability to integrate discordant voices and to appreciate diverse points of view, while also staking their own claims relative to them. One page TTR Teaching Tactic: students apply earlier material to assess current reading assignment. 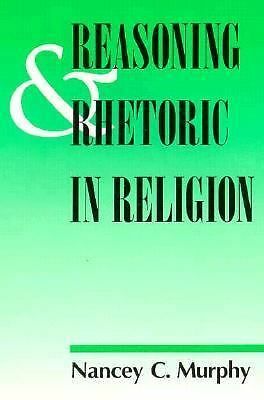 A commitment to empathetic understanding shaped the field of religious studies; although subject to critique, it remains an important teaching practice where students are charged with the task of recognizing, and perhaps even appreciating, a worldview that appears significantly different from their own. However, when the focus of the course is historical trauma there are significant epistemological and ethical reasons empathetic understanding may not be our best pedagogical strategy. Drawing primarily on my experience teaching a general education class “The Holocaust and Its Impact” at California State University, Bakersfield, I advocate replacing empathetic understanding with engaged witnessing as a pedagogical framework and strategy for teaching traumatic knowledge. To make this case, I delineate four qualities of engaged witnessing and demonstrate their use in teaching about the Holocaust. 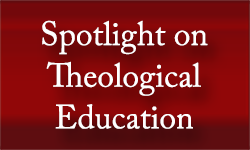 "Teaching Religious Doubt with Toulmin's Model of Reasoning"
Teaching students to doubt, that is, to "test," theological arguments as one might test any other kind of knowledge is challenging in that the warrant for such testing is not immediately clear. Stephen Toulmin, Richard Rieke, and Allan Janik's model of reasoning provides a conceptual framework that demonstrates the logical relationships between a claim, its grounds, warrants, and backing for warrants. Against such a model, the instructor and students may study religious claims, both biblical and theological, with the aim of analyzing the ways such claims find support or a lack of support depending upon the particular ways that claims and evidence have competing warrants. Several pedagogical benefits ensue. First, students see that the validity for theological claims rests as much upon warrants as it does upon grounding. Second, searching for ancient warrants privileges historical-critical investigation. Third, competing warrants for contradictory theological claims summon pedagogical metaphors of process and development. "The Educational Meaning of Communal Laughter: On the Experience of Corporeal Democracy"
"Tools and Raw Materials in a Workshop for Critical Thought"
A 1000 word essay on using media to teach theory. With student learning outcomes as a goal, we must rethink teaching and learning to include creativity. Posed for the 21st-Century learner, their new paradigm, Mentor-from-the-Middle, replicates scholarly inquiry by developing a scholarly frame of mind. The teacher assumes new roles in this paradigm of scholar, mentor, facilitator, coach, model, and critical reflector. These roles in turn combine to help transform the learner into an active creative thinker. ch. 1 Why a Pedagogy of Creativity Studies, Why Now? "The Where and Who of Values"
One page TTR Teaching Tactic: a free write exercise helps students reflect on and articulate their values. Alderman, Isaac M., and Beyers, Donald J. In an attempt to engage students' higher-order thinking skills, we developed a documentary filmmaking project for our introduction to theology course. By documenting certain aspects of the theology of John Wesley and John Henry Newman (God, creation, revelation, Jesus, the church), students were able to delve deeply into these themes, better understanding them and their interrelationships. The project helped the students to actively practice historical theology, rather than passively learn about it through lectures. In addition, the project emphasized research skills, quality of writing and creative production, and a professional presentation at a screening. Ludvik, Marilee J. Bresciani, ed. Is higher education preparing our students for a world that is increasingly complex and volatile, and in which they will have to contend with uncertainty and ambiguity? Are we addressing the concerns of employers who complain that graduates do not possess the creative, critical thinking, and communication skills needed in the workplace? 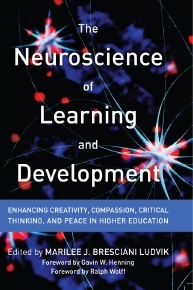 This book harnesses what we have learned from innovations in teaching, from neuroscience, experiential learning, and studies on mindfulness and personal development to transform how we deliver and create new knowledge, and indeed transform our students, developing their capacities for adaptive boundary spanning. 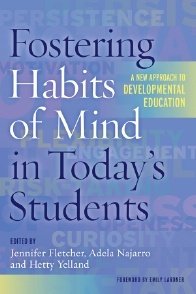 Starting from the premise that our current linear, course-based, educational practices are frequently at odds with how our neurological system facilitates learning and personal development, the authors set out an alternative model that emphasizes a holistic approach to education that integrates mindful inquiry practice with self-authorship and the regulation of emotion as the cornerstones of learning, while demonstrating how these align with the latest discoveries in neuroscience. "Higher Order Thinking Through the Synthesis of Theological Models"
One page TTR Teaching Tactic: students learn to create models in order to increase their grasp of nuanced theological arguments. Costa, Arthur L.; and O’Leary, Pat Wilson, eds. Abstract: Research has demonstrated that cooperative learning is one of the most highly effective teaching strategies, while new findings from neuroscience confirm the brain’s natural inclination to think socially. But simply putting students in a group is not enough. The authors of The Power of the Social Brain see “interdependent thinking” as the missing piece of the collaborative puzzle. This authoritative book provides practical strategies, informed by research from neuroscience and education, to help groups function more effectively and thoughtfully. By adding the “cognitive dimension” to cooperative learning, this book will help readers apply new protocols and strategies for more successful, affirming, and productive group work in classrooms and professional educational learning communities. Fresh parallel insights on interdependent thinking from the arts, architecture, business, the community, and sports. Approaches for leveraging cooperative learning to improve thinking, problem solving, performance, and mutual support across a wide range of settings, including classrooms, teams, and professional learning communities. Instructional strategies from experienced classroom teachers for teaching young people to think and work interdependently at home and at school. "Turning Water into Wine: Giving Remote Texts Full Flavor for the Audience of Friends"
This essay argues that teachers would be more effective at promoting students' willingness to work hard at course content that seems to them remote and abstract if teachers explicitly presented that content to students more as a means to their education rather than as the aim of their education. Teachers should confront the fact that most of the content they teach will be forgotten by students. Once this fact is accepted, then it follows that teaching content that teachers know will be forgotten as if it should never be forgotten is myopic and perhaps dysfunctional. An alternative teaching model is to use course content to stimulate the flourishing of developmental human skills--rationality, language, aesthetic responsiveness, imagination, introspection, moral and ethical deliberation, sociability, and physicality--in the service of a developmental notion of liberal education that can never go out of date and can never be forgotten because its effects become absorbed as developmentally advanced orientations of life, not crammed into short-term memory for the sake of passing tests. A 1000 word essay in response to a Call for Papers on the wider context of your course. A quick scannable overview with solid advice. Critical thinking is becoming increasingly prominent as an academic discipline taught and examined in schools and universities, as well as a crucial skill for everyday life. To be a successful critical thinker it is vital to understand how the different concepts and terms are defined and used. The terminology often presents a stumbling block for the beginner, since much of it is used imprecisely in everyday language. A New Mexico State University Library site, with examples, suggestions, criteria, and bibliography. Ithica College library site, with 6 quick suggestions, 6 more criteria, and several exercises/assignments to test students’ discernment skills. ch. 1 What Is Critical Thinking? Some Definitions of Critical Thinking. Some Prominent Features of Critical Thinking. Three Parts of Critical Thinking. An Example of Critical Thinking in Action. What Critical Thinking Is Not. Impediments to Critical Thinking. Deeper, More Pervasive Impediments to Critical Thinking. How Deep is Our Need for Critical Thinking? The Experience of Learning to Think Things Through. An Overview of the Book That Lies Ahead. ch. 2 The Elements of Reasoning. The Nuts and Bolts of Critical Thinking. The Elements of Reasoning. How to Analyze a Piece of Reasoning Using the Elements. Example: Thinking through the Logic of Getting Married. Trusting the Process. ch. 3 What Is Critical Thinking within a Field or Discipline? The Parts of Critical Thinking within a Field. Thinking Biologically, Thinking Sociologically, Thinking Philosophically, Thinking Musically … The Logic of the Field or Discipline. Learning the Vocabulary of the Discipline. Fundamental and Powerful Concepts. The Central Question of the Course as a Whole. The Point of View of the Discipline. Impediments to Thinking Critically within a Discipline. Trusting the Discipline. ch. 4 Standards of Critical Thinking. Clearness. Accuracy. Importance, Relevance. Sufficiency. Depth and Breadth. Precision. Understanding and Internalizing Critical Thinking Standards. Evaluating around the Circle. A Note on Reading as a Critical-Thinking Process. ch. 5 Putting It All Together: Answering Critical-Thinking Questions. The Core Process of Critical Thinking. How Do You Fit in the Picture: Becoming a Critical Thinker. Thinking through Important Critical-Thinking Questions. "Helping Students (Better) Evaluate and Validate WWW Resources"
A brief annotated list that succinctly articulates what we mean by “critical thinking, assembled by the Foundation for Critical Thinking. 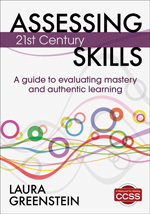 A dozen or so brief essays, samples, and rubrics helpful for instructional design in higher education that emphasizes the skills of critical thinking, assembled by the Foundation for Critical Thinking. Success depends on the ability to think critically. Training and practice turn this ability into a powerful skill. BECOMING A CRITICAL THINKER gives students the opportunity to develop this skill in a classroom environment while stressing its application to daily life. Students learn to solve everyday problems, maintain successful relationships, make career choices, and interpret the messages of advertising in a variety of media. Exercises throughout the text encourage them to practice what they read and to apply it to their own lives. 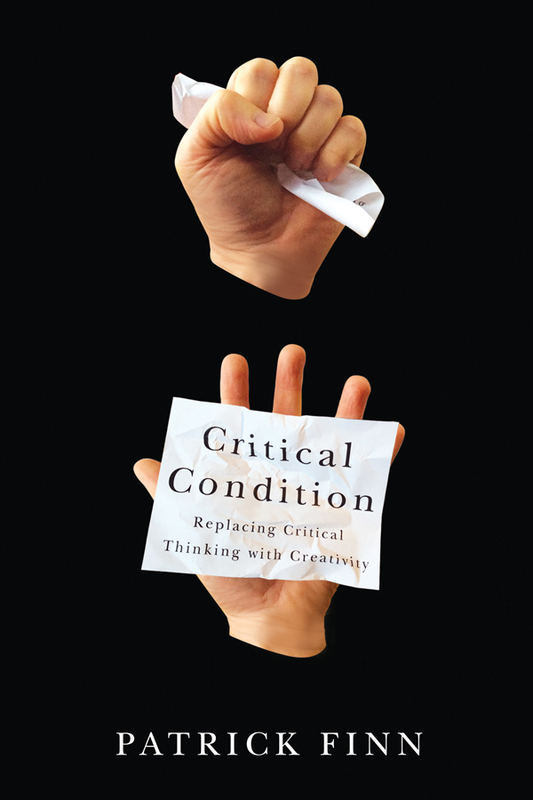 BECOMING A CRITICAL THINKER breaks up critical thinking into a series of cumulative activities, a unique approach that has made this text a staple of many critical thinking courses. •	“Good Thinking” features throughout the text profile diverse individuals who underscore the role of critical thinking in achievement. Exercises invite students to apply the lessons of the various profiles to their own lives. •	Quizzes at the end of each chapter allow students to test their understanding of chapter concepts. •	Group activities allow students to practice the transfer of individual thinking skills to situations in which problems require a cooperative solution. •	Comprehensive coverage of argumentation helps students develop and communicate arguments strongly. Students are asked to analyze and compare real arguments and viewpoints on contemporary topics as a way of expanding their own reasoning capabilities. •	The depth and breadth of theory, skill building, and application in the text make it ideal for an English Composition course or an introductory course in critical thinking. ch. 1 What is intelligence? ch. 2 Good Thinking! The Story of Albert Einstein ch. 3 What is thinking? ch. 27 What is individuality? ch. 48 What is Persuasion? ch. 50 How is Persuasion Achieved? Five things that can make a big difference to help students read your texts with facility and intellectual engagement. Abstract: Critical and Creative Thinking: A Guide for Teachers reveals ways to develop a capacity to think both critically and creatively in practical and productive ways. "Fostering Critical Thinking Through Effective Pedagogy"
Analysis of interview and classroom observation data collected through four institutional case studies reveals some consistent findings regarding how writing assignments and class discussions can be made conducive to critical thinking development. One page TTR Teaching Tactic: teaching critical thinking skills by interpreting real-life ethical issues. The book starts with the pre-Socratics and the impact that Socrates’ death had on his student Plato and traces the increasingly violent use of critical “attack” on a perceived opponent. From the Roman militarization of debate to the medieval Church’s use of defence as a means of forcing confession and submission, the early phases of critical thinking were bound up in a type of attack that Finn suggests does not best serve intellectual inquiry. Recent developments have seen critical thinking become an ideology rather than a critical practice, with levels of debate devolving to the point where most debate becomes ad hominem. Far from arguing that we abandon critical inquiry, the author suggests that we emphasize a more open, loving system of engagement that is not only less inherently violent but also more robust when dealing with vastly more complex networks of information. ch. 1 A Foolish Question: Isn’t It Time We Replaced Critical Thinking? In this essay, I explore an exam format that pairs multiple-choice questions with required rationales. In a space adjacent to each multiple-choice question, students explain why or how they arrived at the answer they selected. This exercise builds the critical thinking skill known as metacognition, thinking about thinking, into an exam that also engages students in the methods of the academic study of religion by asking them to compare familiar excerpts and images. As a form of assessment, the exam provides a record of students' knowledge and their thought processes, and as a learning strategy, it encourages students to examine the thought processes they use to understand religion(s) and its many manifestations. This fine sourcebook provides college and university teachers, across the curriculum, with specific classroom-tested activities and assignments to stimulate and develop student critical thinking. * Suggested related activities, including relevant bibliographical sources. Most modules were developed by the author; in other cases, the author shaped, refined, and expanded on material that has been developed and used by colleagues. Some modules are discipline-specific, some are suitable for a number of disciplines; and many can easily be modified for use in a wide variety of fields. The assignments vary in scope, difficulty and complexity. Some are deigned for introductory freshman courses, while others have been used in graduate courses but could be adapted for lower level courses. (5) Student as Teacher, Teacher as Student. The sourcebook also includes an introductory chapter on the nature and importance of critical thinking, a cross-referencing of all activities by discipline, and a wide-ranging bibliography. Cultivating Judgment has been extensively tested in college classrooms, then revised, expanded and significantly improved. 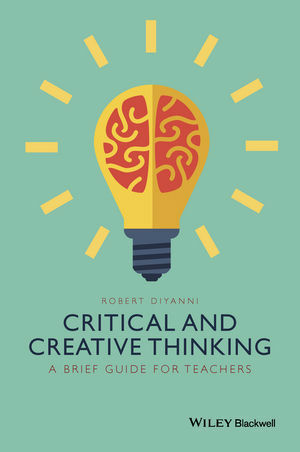 The author has conducted extensive research on the teaching of thinking skills, and discovered that discovered that no existing source filled the need for a book that spells out and demonstrates how to teach critical thinking in virtually any discipline, from liberal arts to more specialized career programs. Activity 11: Handout: Study Guide to "Ode to a Nightingale"
"Teaching Critical Thinking: Some Lessons From Cognitive Science"
This article draws six key lessons from cognitive science for teachers of critical thinking. The lessons are: acquiring expertise in critical thinking is hard; practice in critical thinking skills themselves enhances skills; the transfer of skills must be practiced; some theoretical knowledge is required; diagramming arguments ("argument mapping") promotes skill; and students are prone to belief preservation. The article provides some guidelines for teaching practice in light of these lessons. 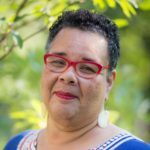 In Teaching Critical Thinking, renowned cultural critic and progressive educator bell hooks addresses some of the most compelling issues facing teaching issues facing teachers in and out of the classroom today. 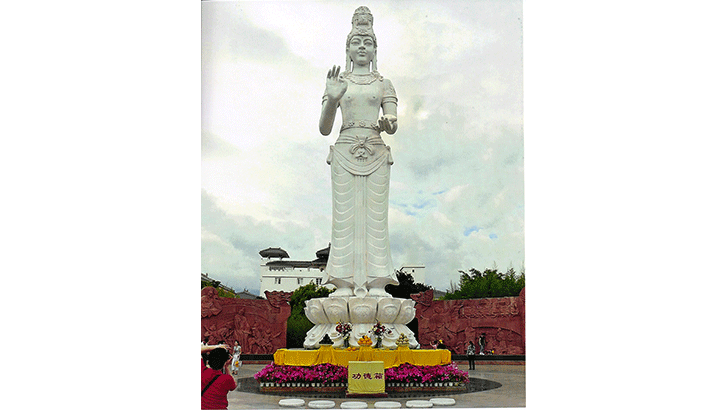 In a series of short, accessible, and enlightening essays, hooks explores of the confounding and sometimes controversial topics that teachers and students have urged her to address since the publication of the previous best-selling volums in her Teaching series, Teaching to Transgress and Teaching Community. The issues are varied and broad, from whether meaningful teaching can take place in a large classroom setting to confronting issues of self-esteem. One professor, for example, asked how black female professors can maintain positive authority in a classroom without being seen through the lens of negative racist, sexist stereotypes. One teacher asked how to handle tears in the classroom. while another wanted to know how to use humor as a tool for learning.